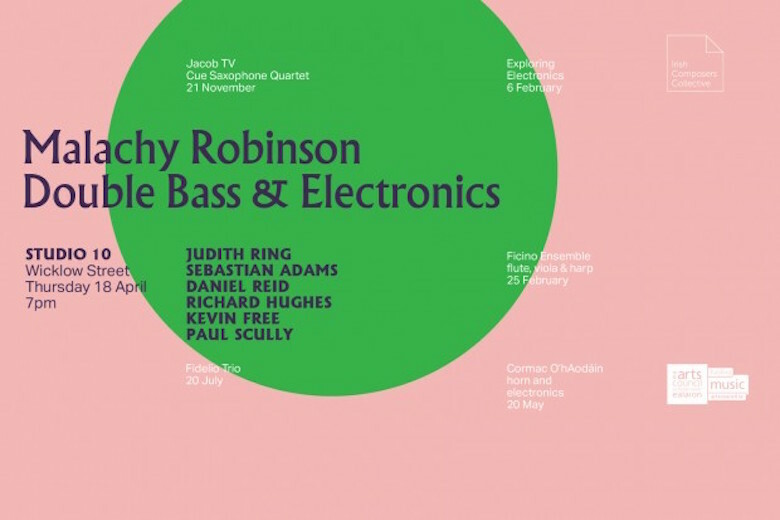 The Irish Composers' Collective present an evening of new music for Double Bass and electronics in Studio 10, Wicklow Street on Thursday 18 April with Malachy Robinson. Malachy will perform five new works written by ICC composers Sebastian Adams, Daniel Reid, Richard Hughes, Kevin Free, and Paul Scully, as well as a Judith Ring's Fusion for Double Bass and electronics. The Irish Composers’ Collective is a non-profit collective of young and/or emerging Irish composers. ICC’s main aim is to further the professional development of composers by producing regular concerts of new music by its members. Funded by the Arts Council and supported by IMRO.